The purpose of U.S. Senate Bill 852 is "to improve health care furnished by the Department of Veterans Affairs by increasing access to complementary and alternative medicine and other approaches to wellness and preventive care, and for other purposes." It was introduced into the Senate on April 25, 2013 by US Senator Bernie Saunders (I-VT) as the Veteran's Health Promotion Act of 2013. The approach is through "centers of innovation" with a scope that includes research, education and development of models of delivery. The strategy begins with pilot programs at 15 centers. Focal areas include pain conditions, mental health and obesity. The Veteran's Health Administration office of Tracy Gaudet, MD is anticipated to be charged with fulfillment. "Complementary medicine services" is not defined. The bill also includes a study of barriers to inclusion of these services. The fiscal note is merely "such sums as may be necessary." Janet Kahn, PhD, a policy adviser to the Integrative Healthcare Policy Consortium and the Consortium of Academic Health Centers for Integrative Medicine, says that she is "delighted to see this as it's really important to the care of veterans." A meeting on the bill has been convened. U.S. Senator Tom Harkin (D-IA), the prime backer of the Prevention and Public Health Fund, blasted the Obama administration, in the person of Health and Human Service Secretary Kathleen Sebelius, for "raiding" the fund. Harkin claims he had an "iron-clad agreement" from Obama that taking from the fund would stop. Yet the continued use of dollars earmarked for prevention, to pump up financial support for the Affordable Care Act's insurance exchanges, continues. Republicans support the administration's dismissal of the fund's value. Said Joe Pitts (R-PA): "The administration is using the 'Prevention' fund as a mass marketing and financing machine for ObamaCare." An article in The Hill states that Harkin, chair of the Senate Health, Education, Labor and Pensions Committee, "is a fierce advocate of preventive medicine - the idea that healthcare should seek to prevent illness rather than merely treat it." Harkin's statement is here. Comment: It will be nice if one day this is not a strange concept to Congress: the idea that healthcare should seek to prevent illness rather than merely treat it. See Institute of Medicine piece below as one small step in this direction for humankind. A message from the "Wellness Warrior," the 90-year-old Deborah Szeleky, shares that U.S. Senators Charles Lautenberg (D-NJ) and Kirstin Gillibrand (D-NY) have introduced the Safe Chemicals Act of 2013 (S 696). According to Szeleky, the legislation "will ensure Americans are protected from dangerous toxic chemicals in everyday consumer products and reform the desperately outdated Toxic Substance Control Act of 1976." She explains that the Environmental Protection Agency (EPA) "has been unable to do more due to provisions in the Toxic Substance Control Act that prevent them from requiring testing unless evidence has already shown the chemical in question poses a risk." She calls on individuals to thank the sponsors here. The Huffington Post has dubbed Szeleky the "Godmother of the wellness movement." Comment: All of the sponsors of the legislation are Democrats. These include US Senators Tom Harkin (D-IA), Barbara Mikulsky (D-MD) and other stalwart supporters of integrative health and medicine. One might hope that limiting the toxification of our earth and our bodies would be a non-partisan issue. It's unlikely this legislation will move very far with a Republican controlled House. Thanks to Szeleky for her fierce promotion of re-opening this law. Chemicals are a good place to move toward a guilty until proven innocent approach. Check Szekely on her Wellness Warrior site. Institute of Medicine's web-accessible workshop includes focus on health and well-being in "transdisciplinary professionalism"
A May 14-15, 2013 workshop of the Institute of Medicine (IOM) included a focus on the role of "health and well-being" in a new era of team-focused care. The IOM group is calling the new mode of practice "transdisciplinary professionalism." The workshop is part of the IOM Global Forum on Innovation in Health Professional Education. The term is defined as "an approach to creating and carrying out a shared social contract that ensures multiple health disciplines, working in concert, are worthy of the trust of patients and the public." The segment on "health and well-being" pairs Mary Jo Kreitzer, RN, PhD, director of the Center for Spirituality and Healing at the University of Minnesota and Elizabeth Goldblatt, PhD, MPA/HA, chair of the Academic Consortium for Complementary and Alternative Health Care (ACCAHC). The agenda is available via this link. The high-quality contents will be available. ACCAHC is among 40 sponsors of the Global Forum. The innovation in health professional education of focusing on health and well-being outcomes is the organization's priority, according to this ACCAHC newsletter on the workshop. Comment: One of the ugly joke lines in interprofessional education and practice is that we are hardly served by having exquisitely performing teams that are doing precisely the wrong things. Perfect teamwork on unnecessary angioplasty, or bypass, for instance, is not exactly a big win. The teams need to be focused on optimal outcomes. Similarly, exceptional "transdisciplinary professionalism" will fall short of the optimal social contract if the practitioners are focused merely on disease management. Here's to holding the star of "health and well-being" out as a guidepost for that "social contract." Alignment of interest note: I work with ACCAHC. Wisconsin's integrative medicine leader David Rakel, MD collaborates to produce free ibook called "Project Health"
"What would a health system look like that had health as its primary goal?" So read the description of this 50-page free ibook called Project Health from University of Wisconsin integrative medicine lead David Rakel, MD and his collaborator, Katherine Sanders, PhD. The book summarizes an interdisciplinary discussion of how to create health for an individual, a medical clinic and the community it serves. The team notes that the challenging economic and business strategies are discussed "to insure sustainability." Comment: The publication recalls to mind a dialogue Rakel and I and others organized for the 2009 North American Research Congress on Complementary and Alternative Medicine. Our topic was to explore the alignments of integrative health and the emerging patient-centered medical (or health) homes (PCMH). However, once the dialogue was opened to the group, participants kept moving both more deeply into the role of individuals and their families, and out into community and public health and environmental factors - the social determinants. Rakel subsequently led publication of the piece as Medical Homes: Defining Cost-Effective Health Care Teams (David Rakel, Stephen Bolles, Lori Knutson, Patricia M. Herman, Douglas Hiza, John Weeks (2009) , 248-250. In Alternative and Complementary Therapies 15 (5).) Notably, the theme is not far from that broached at the IOM workshop noted immediately above and an excellent direction for Harkin's Prevention Fund. "Can naturopaths deliver complementary preventive medicine?" Thus ran the headline in a recent editorial in the Canadian Medical Association Journal (CMAJ). The editorial was written in reference to the publication, in the same edition, of a randomized clinical trial led by Canadian College of Naturopathic Medicine researcher Dugald Seely, ND. The study is entitled: "Naturopathic medicine for the prevention of cardiovascular disease: a randomized controlled trial." The researchers found that individualized, whole person-oriented naturopathic integrative care produced reduced cardiovascular risk for a group of Canadian postal workers. This is the first, positive study led by a naturopathic physician investigator to make its way into a journal of a national MD professional association. Comment: The study, and the editorial, illuminate both the benefits and challenges in research on any trial of a kind of care that lives up to either naturopathic medicine principles or integrative medicine principles. It also points the way to the kind of research we need to create cost savings through reformed care delivery. The CMAJ editorial seeks to diminish the value of the study, and thus the profession that provided the outcomes. Fact is, the study suggests that actual children of actual Canadian postal workers are actually likely to have more time with their parents if they get more of whole person, individualized, naturopathic integrative care. Unfortunately, our research leadership - notably this breakthrough was not supported by the funded the NIH or published in the US - tends to dismiss some outcomes as less significant than some biomedical, indicator that may, or may not, help people feel better or live longer. A longer discussion is here at the Huffington Post. A posting on Low Back Pain for consumers on the Journal of the American Medical Association site sparked the American Chiropractic Association (ACA) to promote JAMA's acknowledgment of the value of chiropractic. The segment of the briefing on treatment options reads simply: "Many treatments are available for low back pain. Often exercises and physical therapy can help. Some people benefit from chiropractic therapy or acupuncture. Sometimes medications are needed, including analgesics (painkillers) or medications that reduce inflammation. Surgery is not usually needed but may be considered if other therapies have failed." The ACA's president Keith Overland, DC, is quoted by his association as saying: "We are encouraged to see JAMA suggest patients try chiropractic and other more conservative types of treatment for their back pain. In many cases pain can be alleviated without the use of unnecessary drugs or surgery, so it makes sense to exhaust conservative options first." Comment: Funny what makes the grade and what doesn't in such lists. Massage therapy and yoga and mind-body approaches misses the cut, here. Interesting, also, the language. A statement from on high suggests that physical therapy "can" help. But it is the voice of "some people" that is invoked to support the "benefit" of chiropractic and acupuncture. Quibbling, here. Nice to see the integration in a JAMA document. The next big complementary and integrative medicine research conference comes around on May 13-16, 2014 on a biennial rather than triennial schedule. The Miami, Florida gathering of what is expected to be over 1000 researchers and clinicians is 4th the International Research Congress on Integrative Medicine and Health. Conference planners have announced the keynote speakers: Catherine Bushnell, PhD, the scientific director for the NIH National Center for Complementary and Alternative Medicine, on the brain's role in the perception and management of pain; UCLA's Steve Cole, PhD, on the social and psychological influences on gene expression; Linda Collins, PhD, on building behavioral intervention strategies; Elisa Eppel, PhD on cellular aging; and integrative medicine in the military leader Eric Schoomaker, MD, PhD. The conference is sponsored by the Consortium of Academic Health Centers for Integrative Medicine. A promotional video is up here. Alignment of interest: I serve on the conference's communications committee. The two editors of a f special issue on public health/health services research and integrative medicine of the European Journal of Integrative Medicine are Pathways for Health's Beth Sommers, PhD, LAc and Jon Adams, the founder of the Australia-based Network of Researchers in the Public Health of Complementary and Alternative Medicine (NORPHCAM). The 82-page special section include 13 articles. It leads off with a piece from the co-editors entitled Public health and health services research in integrative medicine: An emerging, essential focus. The diverse set of articles includes themes that range from multi-morbidities to complementary health practitioner uses in shortage areas and a piece on public health ethics in CAM. Boston-based Sommers is a co-chair of the Alternative and Complementary Health Practices section of the American Public Health Association. Comment: The reductive tendency of mainstream medicine toward CAM has tended to dismiss the health, public health and community medicine orientations and interests of integrative practitioners. For instance, what is the impact on a population when practitioners educate their clients to the impacts of toxins. Good to see this exploration of linking the fields. This monthly report from the Integrator includes 24 segments from Google Alerts on integrative medicine developments in health systems plus a half-dozen from the community during the April 1, 2013-May 6, 2013 period. These came via requests for "integrative medicine," "integrative oncology" and "complementary and alternative medicine." The University of California at San Diego conference on integrative oncology yielded repeated postings that attracted Google's search engines. The arrival of the field of integrative oncology is captured in the description of the Ironwood Cancer Center that is breaking ground in Gilbert, California which is described "an integrative cancer center like many others." A growing meeting place for those exploring the optimal ways to bring integrative health and medicine to underserved populations in the annual gathering of Integrative Medicine for the Underserved (IM4US). The 2013 conference will be held August 9-11 at the University of Santa Clara in San Jose, California. A note from IM4US calls the meeting "a unique educational experience that brings together Clinicians (MD's, DO's, NDs, chiropractors, acupuncturists, behavioral health specialists, herbalists and more), Staff (nurses, educators, etc,) and Administrators working to bring integrative medicine to underserved populations." Basic conference information is here. They promise plenary and breakout sessions that share "affordable evidence-based and integrative approaches to common chronic diseases, discuss unique ways to utilize group medical visits, and provide a like-minded community base for activism around integrative medicine for underserved populations." Comment: Ditto the comment relative to integrative health and the public health, above. Again, the tendency to reductivity in exploring the meaning of integrative health values, practices and disciplines has missed the service interest and orientation of many in these fields. Interprofessional Education Collaborative (IPEC) expands to include broader allied health and CAM groups as "supporting organizations"
In May 2011, the national academic organizations associated with six leading healthcare professions announced the Competencies for Interprofessional Collaborative Practice product of two years of foundation-based collaboration that put their historic Interprofessional Education Collaborative (IPEC) on the map. The six - medicine, nursing, public health, dentistry, osteopathy and pharmacy - were immediately asked by other allied health professionals and integrative health disciplines to widen their circle. IPEC, which is now incorporated as an entity to promote the move toward team care, has taken at least a symbolic step in response. Among the "Supporting Organizations" listed on their IPECollaborative.org website are organizations representing podiatrists, physical therapists, psychologists and an umbrella for the licensed integrative health academic organizations, the Academic Consortium for Complementary and Alternative Health Care (ACCAHC). Comment: As one who has been involved in working to pry open the circle, I first acknowledge the important, if remedial, accomplishment it was in our silo-ed system for the first six disciplines to come together. We are seeing an organic expansion of inclusion, from the dictatorship of MDs, to the MD-nurse dyad, to the oligarchy of the "Big 6," to the steps now, noted here, for additional inclusion. These begin to suggest the diversity of all the provider types patients may find of value in their care teams. An update on activities from the Complementary and Alternative Medicine Special Interest Group of the medical Library Association is available here. The page, written by Amanda Page, the co-convenor of the group, describes a number of collaborations of the interest group, including with the association's Chiropractic Libraries section. New program in integrative health characterized as preparing professionals for "the Great Hand-Over"
The California Institute of Integral Studies boasts a Masters of Arts program in Integrative Health Studies led by Meg Jordan, PhD, RN, CWP. In a recent e-news message, Jordan notes a new goal of the program: "to prepare leaders to help people with what we're calling the 'Great Hand-Over.'" Jordan describes this phenomenon as being set in motion by the economic engine of the Affordable Care Act (ACA) "driving prevention and health promotion." Then she bores into the meaning of the hand-over: "The federal government is handing over to states the responsibilities for insurance exchanges and care for the poor; Companies are handing over to employees the cost burden of chronic illness and sick time"; and "Individuals are being handed responsibility for their health by health care teams and insurers--and in great measure, they are." Jordan concludes: "With all this 'over to you' going on, people need supportive allies and networks to figure out a new health era." Then the sales line: "At CIIS, students and faculty create integrative care solutions for the new challenges we face together." Comment: I have been tracking the emergence of the "integrative health" language in the culture, and its meanings. With this context, Jordan, a leader in the health coaching field, gives the movement some urgency. The idea of integrative health leadership in one I've been wrestling with among colleagues under another hat. Jordan's is an interesting framing. If she has her students doing capstone projects identifying solutions, they should be posted somewhere with public access. We're all going to need guidance. The Portland, Oregon-based National College of Natural Medicine has chosen to partner with Emerson Ecologics, a major natural products distribution firm, to maintain quality of the natural products sold in the school's teaching clinic. In a release on the relationship posted here, Jennifer Brusewitz, ND, NCNM's medicinary development supervisor explains that the Emerson Quality Program "is a rigorous supplier qualification program which relies upon documentation audits, on-site audits and product testing in order to qualify its participating brands." NCNM has core programs in naturopathic medicine and classical Chinese medicine. Past issues of the Integrator have reported on the work of the American Botanical Council (ABC) and others to form a coalition to take on the issue of botanical adulterants. The Integrator has now officially joined the ranks of media that are supporting and promoting the initiative through coverage of the campaign. Over 100 organizations are part of the effort led by ABC, the American Herbal Pharmacopoeia and the University of Missisippi's National Center for Natural Products Research. An overview of the ABC-AHP-NCNPR Botanical Adulterants Program, which focuses on both intentional and unintentional adulteration, is here. An e-letter from the Institute for Noetic Sciences (IONS) shares the history of a battle that erupted when the TED talks recently "removed videos of two TEDx talks from their official YouTube channel and then cancelled a TEDx event." The IONS letter explains: "The censored talks and cancelled event had a common theme-exploring the possibility that consciousness extends beyond the brain. TED's justification for their actions was that the contributors were promoting 'pseudo-science. '"Among the presenters at the dumped event were Russell Targ, Larry Dossey, and IONS' Marilyn Schlitz. The TED decisions were reportedly from its "anonymous Science Board." Deepak Copra and others took the issues to the Huffington Post, generating over 4500 "likes" and 1500 Facebook re-postings. TED eventually re-posted the videos, on a lesser visibility blog, but revoked the TEDx licensed of the Los Angeles group for which Schlitz and the others were to talk. The conference reportedly went ahead, with a strong turnout. The American Association of Acupuncture and Oriental Medicine (AAAOM) has named Denise Graham as its new executive director. Graham, of Alexandria, Virginia, is the former executive vice president of the Association for Professionals in Infection Control and Epidemiology (APIC) in Washington, DC. Graham worked there for eight years prior to her new post with AAAOM. In a letter to members shortly after she was hired, Graham announced a new electronic newsletter and began to re-link the field via sharing news, initiatives and accomplishment. Graham reported: the Lifetime Advocacy Award that was given to past AAAOM president Jeannie Kang, LAc; a volunteerism award to the president of AAAOM's student Rachel Brumberger; and an acknowledgment of the work of Lixin Huang, the president of the Council of Colleges of Acupuncture and Oriental Medicine for her years of work in integrating Chinese and Western medicine. Comment: The troubles of the AOM profession in creating a strong and effective national organization are legion, and as deeply saddening as the opportunities for the profession are grand. Here's hoping that Graham's past work in infection control might help with what has ailed this field's advance at the national level. The Massage Therapy Foundation (MTF) Board of Trustees announced on May 2, 2013 that current American Massage Therapy Association (AMTA) foundation director, Gini S. Ohlson, will become its executive director on July 1, 2013. Ohlson has worked 15 years directly managing the day-to-day operations of the MTF via an arrangement with AMTA, MTF's historic core funder. The hiring is an additional step toward independence for the foundation which is heralded for, among other things, sponsoring a top-flight biennial research conference. In a statement, MTF president Ruth Warner notes that Ohlson is positioned to both maintain strong relationships with AMTA and other donors. The New York Times ran an article April 29, 2013, "New Doubts about Gingko Biloba," in which it reported that toxicity from the herb caused cancer in lab animals. The Times did not choose to run a response letter submitted by Mark Blumenthal, founder and executive director of the American Botanical Council (ABC). In an e-message on May 7, 2013, Blumenthal shared his short letter with ABC's members: "Results of the National Toxicology Program's Toxicology Report on Ginkgo, conducted on rodents receiving extremely high doses (55-108 times the normal human daily dose) of an atypical ginkgo extract for two years, are not applicable to humans, as noted in the study itself. The ginkgo is not the standard-setting extract used in most published clinical trials. The article misleadingly states that the FDA 'bans' ginkgo in conventional foods and beverages; this is based on a regulatory technicality (food additive provision), not an assessment of ginkgo safety, which FDA hasn't conducted. In fact, clinical trial evidence and widespread use support the overall safety of ginkgo. The article implies that because ginkgo extract did not prevent cognitive decline in several large clinical trials, that ginkgo is not beneficial, despite compelling evidence from numerous controlled clinical trials demonstrating that ginkgo helps improve cognition and quality of life in older patients." Comment: The fun, here, is to think of all the food or drug ingredients that, taken at 55-108 times their normal human dose, would be extremely toxic. Maybe we should start by trying to determine if anything wouldn't. Is there some anti-nature spirit being expressed by the Times and other media when they choose to high light such studies? Credit them, at least, for not putting the c-word in the headline. An April 21, 2013 release from the producers of Breakthroughs with Martin Sheen note that the actor will be "reporting on the use of alternative medicine" in the program's June 2013 show. Sheen is said to be "spending time with doctors and researchers to find out how a new approach and receptiveness to alternative remedies is giving medical professionals another tool in the fight against illness and disease." The approaches are presented "not as replacing modern medical science" but instead "helping patients grow stronger sand endure the demands of sometimes rigorous treatment." Aviad Haramati, PhD, the winner of the first leadership award from the Consortium of Academic Health Centers for Integrative Medicine, has shifted his roles at his base institution, Georgetown University Medical Center (GUMC). According to this article, Haramati proposed, and was accepted to lead, a new interdisciplinary Center for Innovation and Leadership in Education (CENTILE) at Georgetown. Haramati expressed the need this way: “When it comes to the educational mission at GUMC, most of the faculty who teach at the medical center were recruited to do something else." CENTILE will lead a charge to "create a culture of educational scholarship at the medical center." The release on the launch of CENTILE is here. Haramati, who says his first love is teaching, was selected in 2004 by faculty and alumni for induction into the Magis Society of Master Teachers at Georgetown. Haramati has received other teaching awards, including the 2002 Alpha Omega Alpha Robert J. Glaser Distinguished Teaching Award from the Association of American Medical Colleges." Comment: Haramati is known to many as the lead organizer of the CAHCIM research congresses (see related article above). He has also hosted a series of interprofessional meetings at Georgetown, culminating in the International Congress for Educators in Complementary and Integrative Medicine in 2012. He has been the chief glue, on the conventional side, that has kept the integrative medicine community connected to the licensed complementary and alter native healthcare disciplines. The good news for integrative medicine and health, is that Haramati is planning to keep his hand in the field that he has been instrumental in maturing. 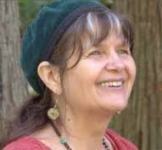 To a query about the news of the death of Cascade Anderson Geller, colleague Mark Blumenthal, the founder of the American Botanical Council, wrote: "Yes, our dear herbal sister Cascade passed Saturday (HerbDay). She was loving, gracious, wise, totally committed to her family and the plants, and leaves a gaping hole in the fabric of her close and extended botanical medicine community." Naturopathic physician and educator Jared Zeff, ND shared: "Cascade was a great teacher and a favorite with the students at National College of Natural Medicine. She was a woman of high integrity as well as gentle competence. As I write this, I am watching my dogwood blossoms fall like a pink snow, their season ended. Cascade was a rare gift to the learning of many young naturopaths. I miss her." Cause of death was apparently from metastasized colon cancer. A wonderful piece on Cascade from United Plant Savers leader Lynda LeMole on Anderson Geller is available here. Another long post on Cascade's life is here. She was 59. Comment: I did not know Anderson personally though our paths crossed, in an odd moment of transition for the herbal and naturopathic communities. When I first worked at what was then John Bastyr College of Naturopathic Medicine, in the early/mid-1980s, Cascade was as loved and revered by students there as Zeff recalls at NCNM. However, Bastyr was in the early throes of its historic move toward regional accreditation, a first such recognition in the modern era for any health professional school teaching the therapeutic use, to doctoral level clinicians, of herbs, botanical medicine and phytotherapy. The political context for natural medicine was deeply polarized at that time. The accreditors demanded terminal degrees of faculty. Lesser consideration went to wisdom. They urged library references on botanical medicine over understanding of herbalism. Cascade was let go because her knowledge came from sources not respected inside the ivory tower. Good education to help students become healers became collateral damage to the accreditation campaign, with which I was quite involved. A shameful choice, one way one looks at it. Happily, in more recent years, the now more established naturopathic programs have begun to access such wisdom from the plants again. Adds Cathy Rogers, ND, academic dean at Bastyr in the 1980s when all this was taking place: "What a beautiful and wise woman Cascade was. Via con Dios." 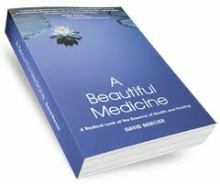 A beautiful book by acupuncturist and experienced health system leader in integrative health, David Mercier, A Beautiful Medicine, has been selected as one of three Grand Prize Winners in the 2013 Nautilus Book Awards. Mercer's award landed his life-work in good company. Grand Prize Winners in previous years include Pulitzer Prize finalist Barbara Kingsolver for Small Wonder, Deepak Chopra, M.D., for The Book of Secrets, and New York Times best-selling author T. A. Robbins for two books in his The Great Tree of Avalon series. Only three books are selected by the judges for the Grand Prize, a designation for "best-in-show." Comment: This is a terrific book. I'd covered Mercier's work at Shore Health in building integrative programs here and here. Mercier offered me a chance to review pre-publication. Instead of getting off a blurb to him, a got into a wonderful exchange with my brother-in-law, Stephen Campbell, over various themes while we were each reading it during a family vacation. We fought over who would have access to the story, when. Take a look at Mercier's site where some extracts are available, then check out the book. Anyone who came through the 1960s and 1970s into whatever they have come to make sense of life since will find it fascinating. Much wisdom in it.